E is for Explore! : DJ Spin-off: Vocab. Once kids fully understand the difference between synonyms and antonyms, have a vocab. spin-off. 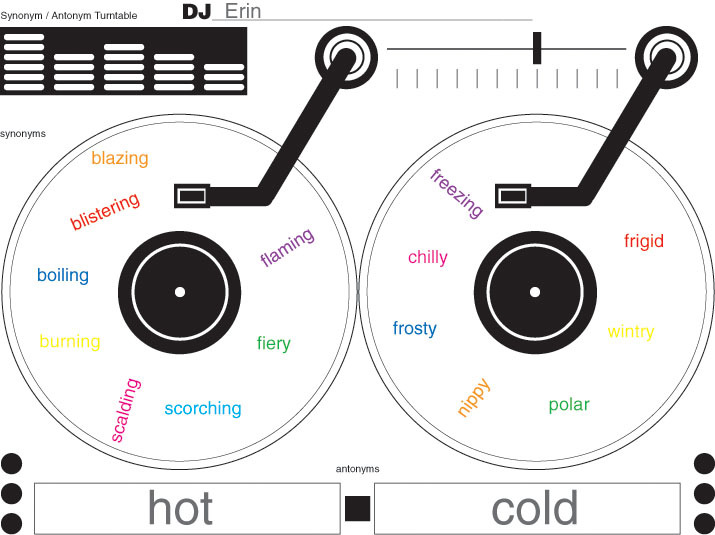 Kids transform into DJ's quick mixin' synonym and antonym tracks! First, they write their antonyms in the box. Then, they write synonyms for their opposing words around each record.